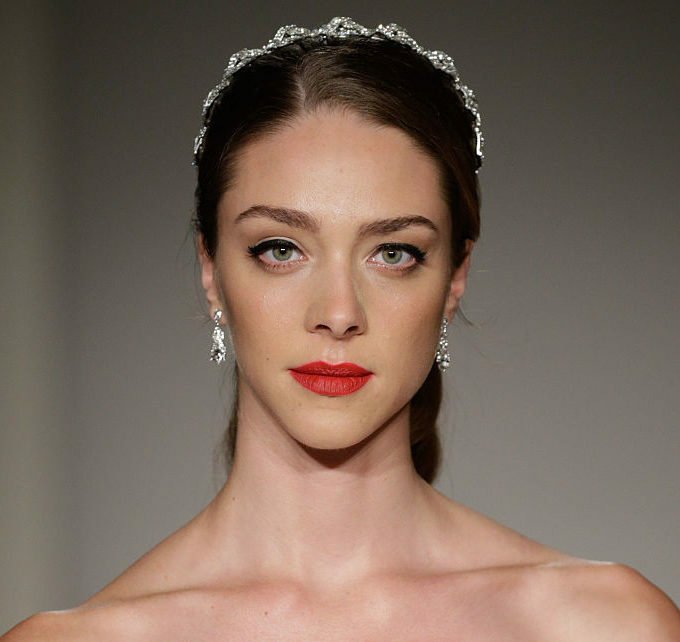 The hottest trend from bridal fashion week is seriously daring! That’s what was trending during this year’s Bridal Fashion Week in New York City. Take a look at some of our favorites from this fall’s show! These beautiful gowns by Sachin & Babi really steal the show, especially the illusion bodice (second from left)! Look like a real life princess in this layered, sweetheart dress. Embroidery, a plunging neckline, and gorgeous tulle fabric completes this mermaid style dress by the Say Yes to the Dress favorite. This modern sleeveless lace ensemble by Pronovias is what fairy tales are made of! It’s pretty clear these plunging necklines are THE bridal trend for 2017. Whether hidden with illusion bodices, topped with gorgeous lace, or even baring all the way down to the navel, the brides of 2017 are clearly going to be a bunch of awesomely daring gals with nothing to hide. What’s your favorite? Would you head down the aisle in one of these bold gowns?